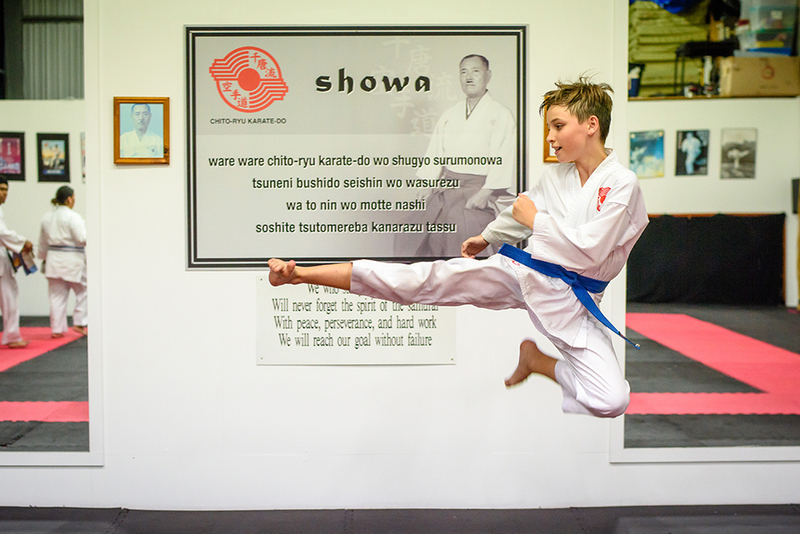 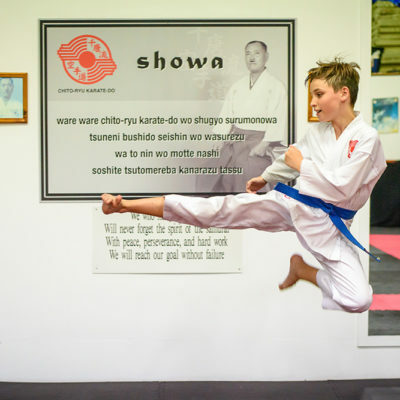 Tobi Yoko Geri - Jumping side kick performed by junior karate student at Gold Coast Chito-Ryu Karate. 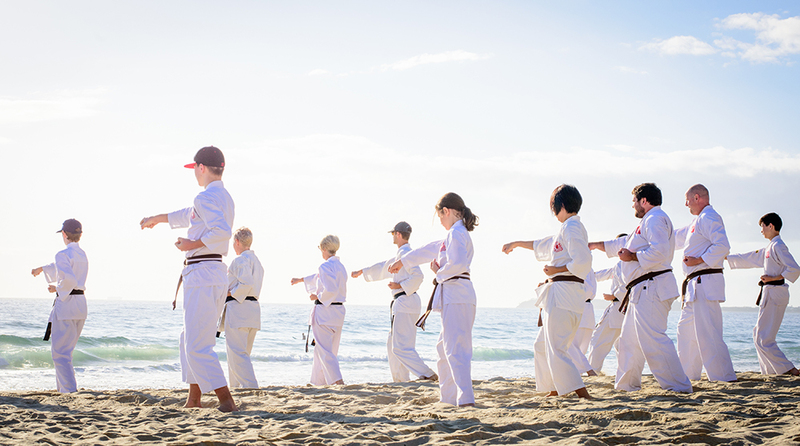 Karate training does not have to be all serious. 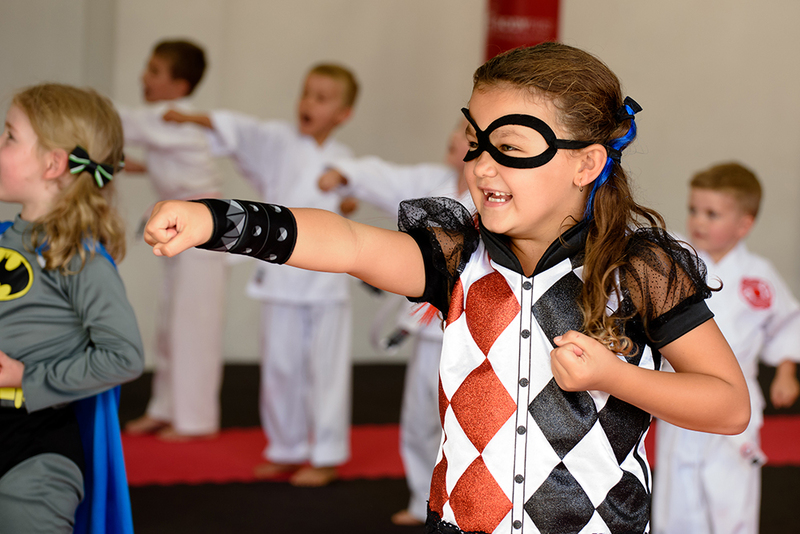 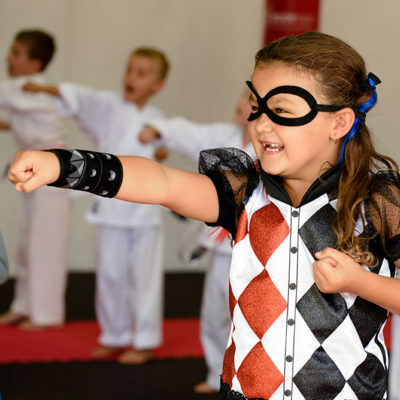 Once a year a Super Hero Day is held where our little champions dress as their favorite super hero for a fun karate class. 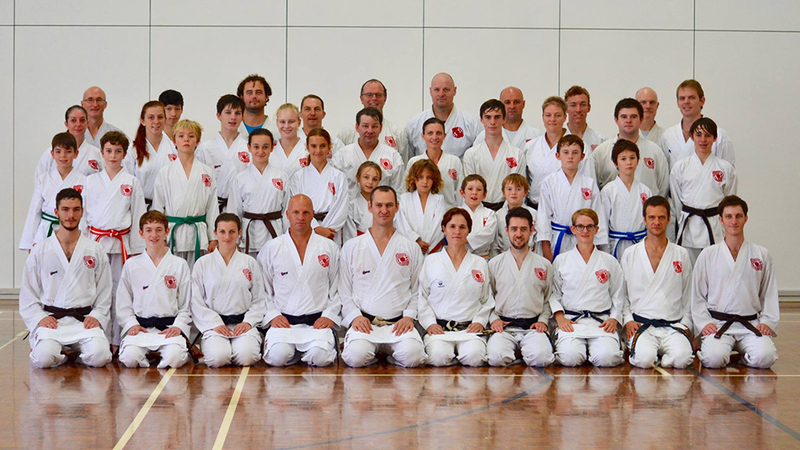 Each winter special training is held in Springbrook. 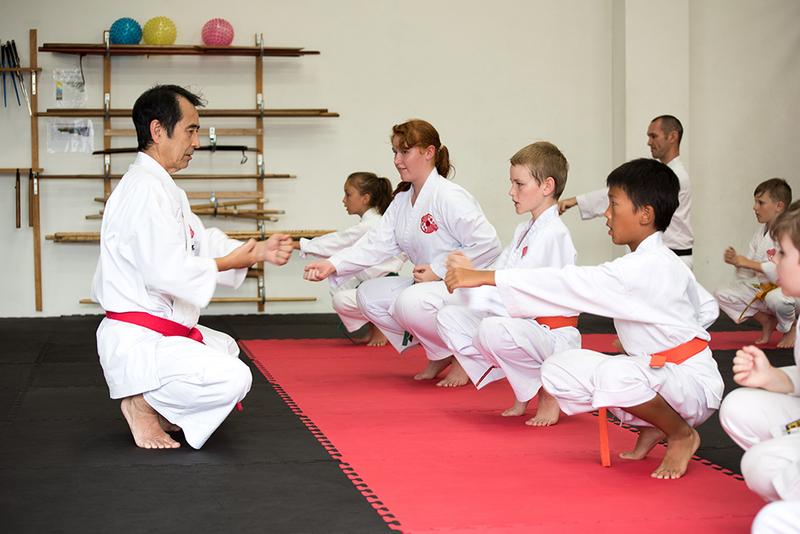 The training is called Kangeiko which means special winter training. 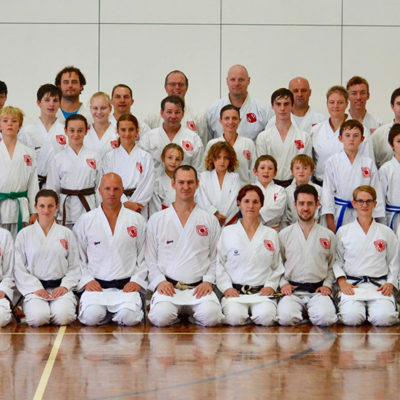 Since 2001 the Gold Coast Chito-Ryu Karate dojo has sent a team to the Soke Cup, the world titles for Chito-Ryu Karate held every three years. 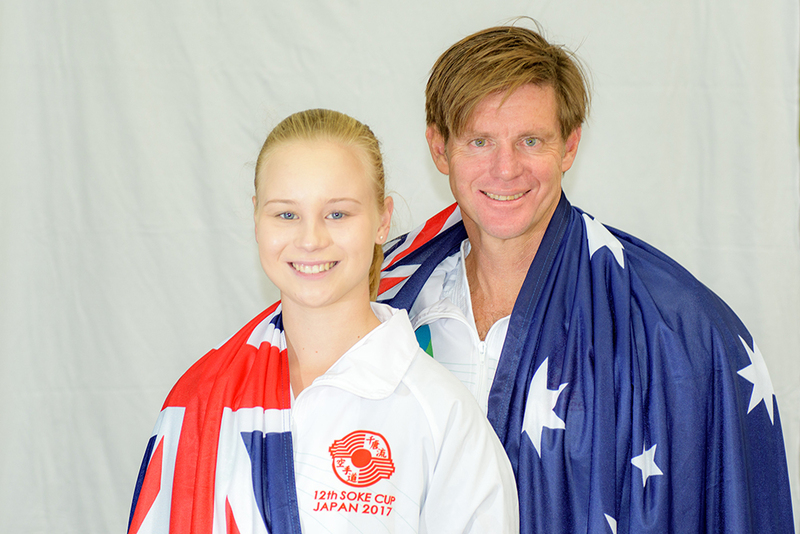 Representing Australia is a great honor. 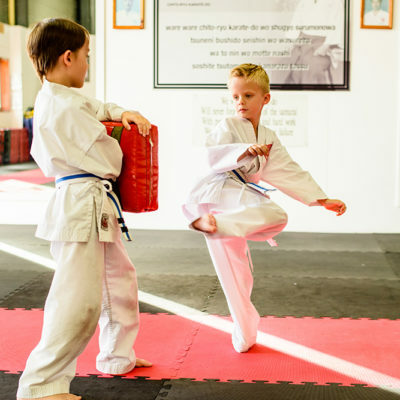 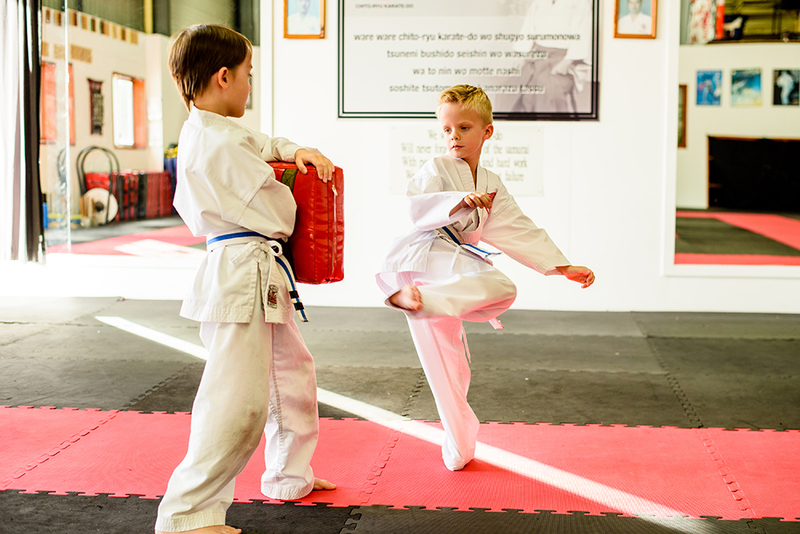 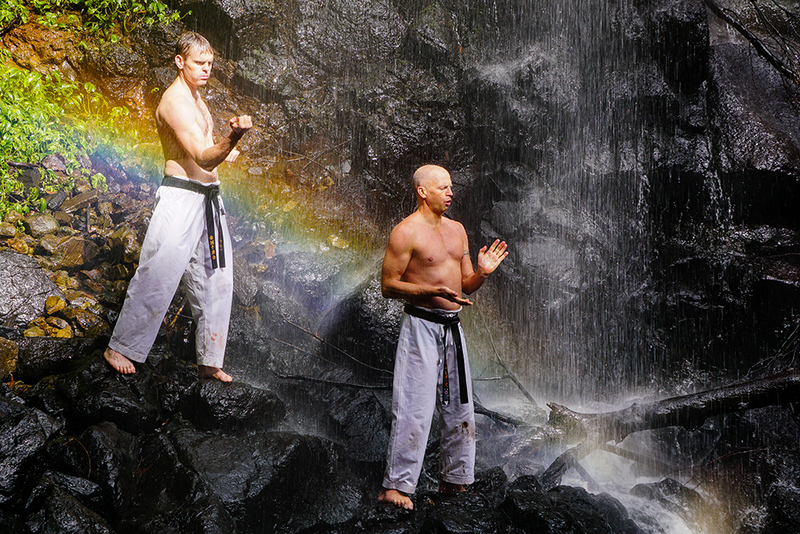 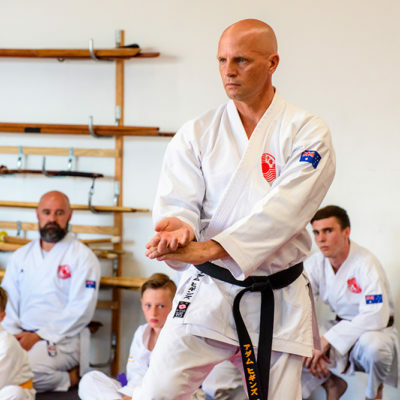 The Queensland Karate Camp is an annual event where Chito-Ryu karateka from Queensland and other areas of Australia get together for a weekend of intensive training and camaraderie. 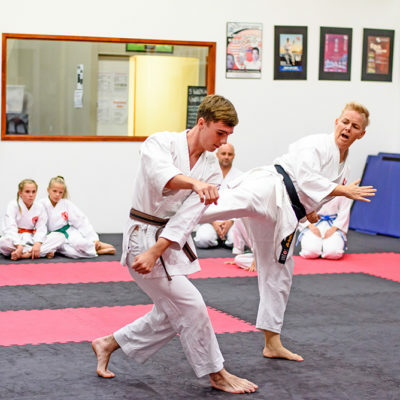 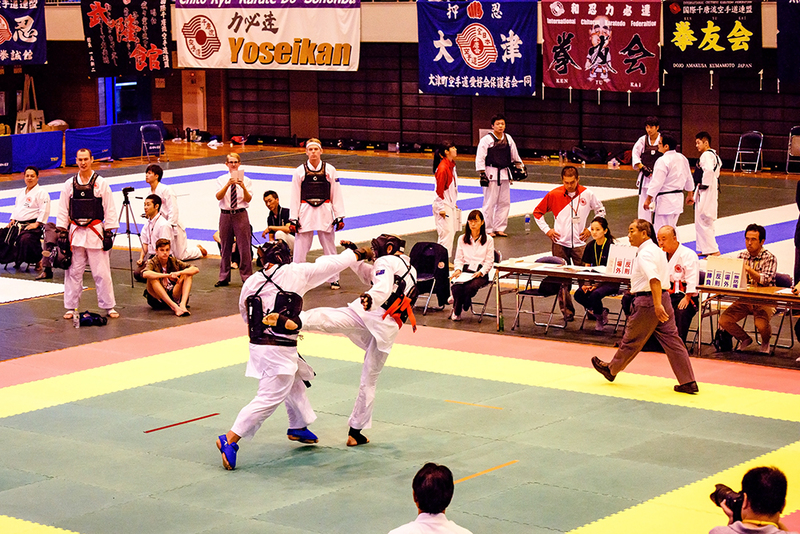 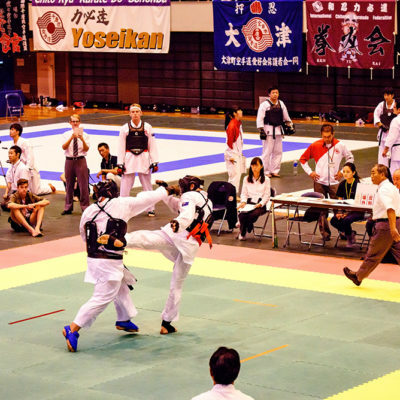 Gold Coast Karate athletes compete in a range of tournaments including the Soke Cup. 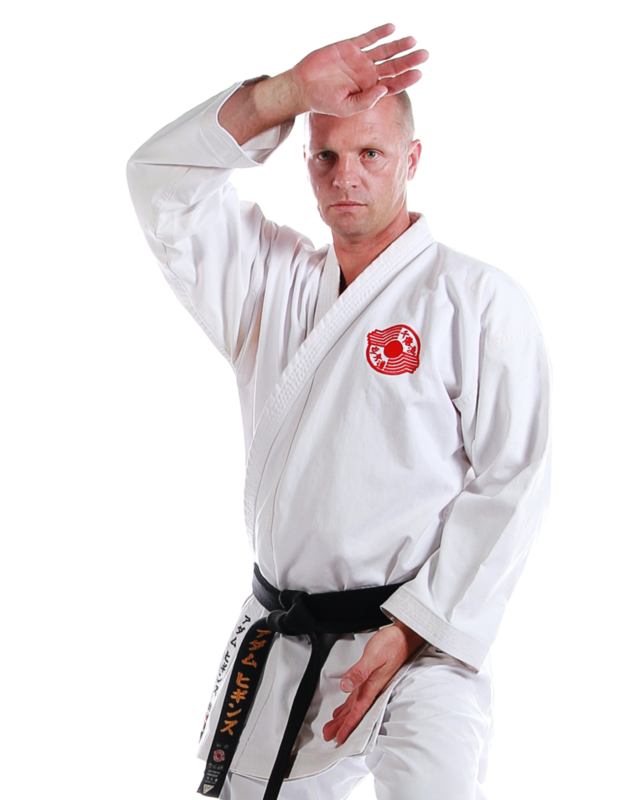 The world titles for Chito-Ryu Karate. 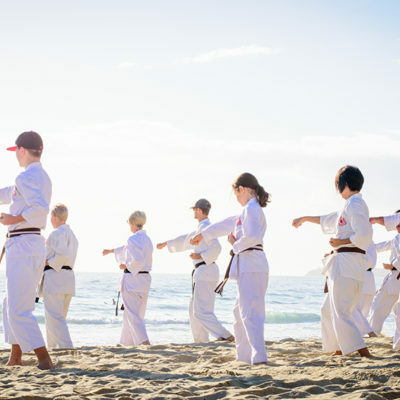 The Gold Coast is a beautiful place so we take advantage by holding special training sessions at the beach. 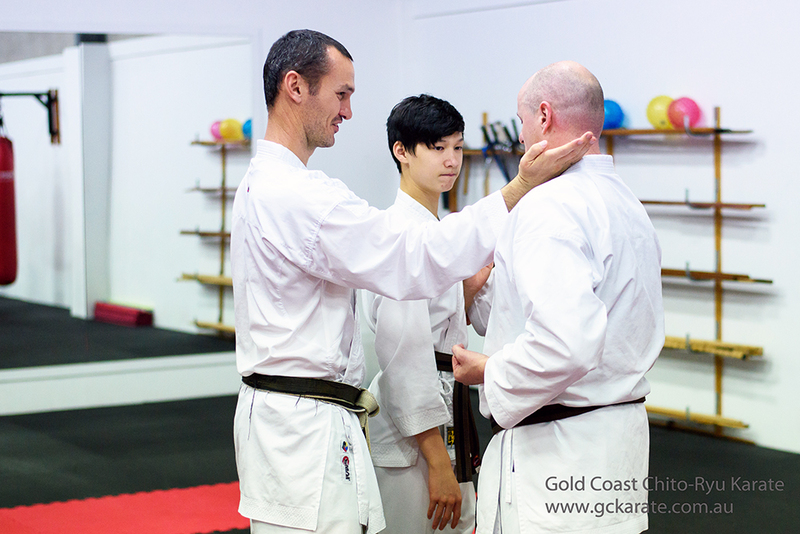 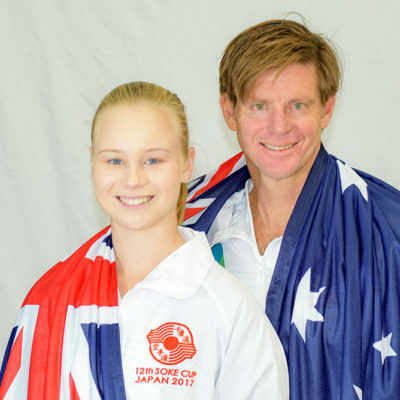 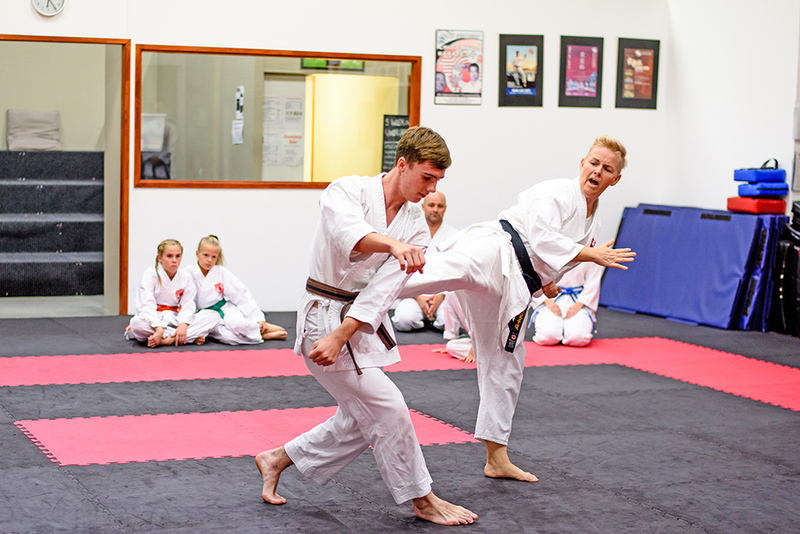 The Gold Coast Karate & Kobudo Centre regularly hosts special guest instructors from Australia and around the world. 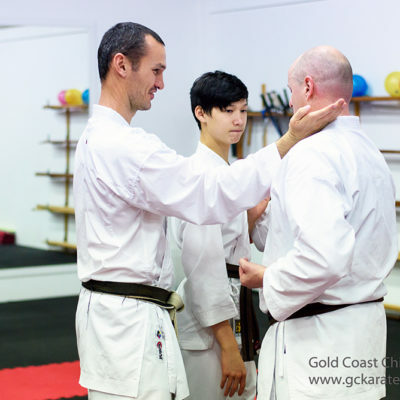 Head of Chito-Ryu Queensland regularly visits the Gold Coast karate dojo to share his understanding of Chito-Ryu Karate. 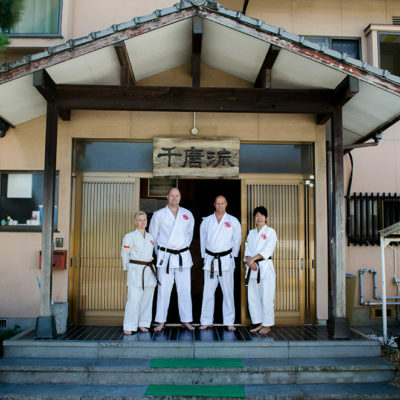 Gold Coast Karate students have trained at the Chito-Ryu karate headquarters in Japan. 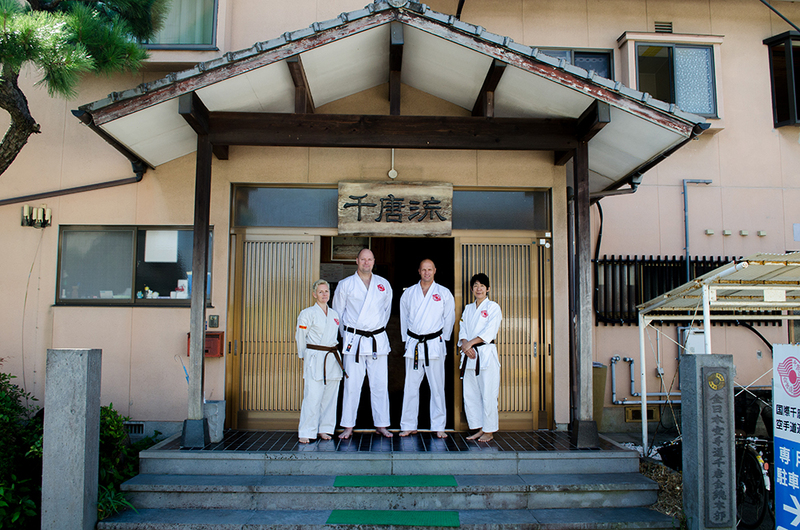 Sensei Adam visits the Japan regularly for continued training. 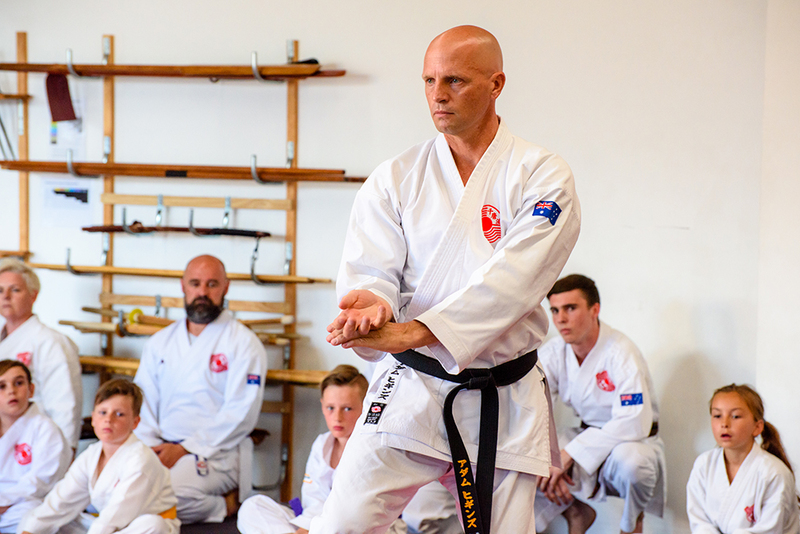 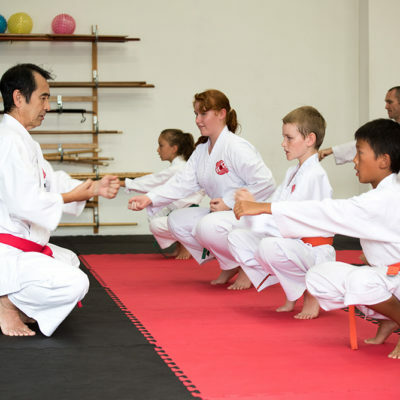 As a part of the international Chito-Ryu Karate body the Gold Coast dojo receives an annual visit from Soke, the head instructor of Chito-Ryu as appointed by his father the founder of Chito-Ryu Karate-do.